I recently read somewhere that how you treat your environment around you is a reflection of how you treat the people that you surround yourself with. If you have a pile of crap that you hang on to but don't need, chances are you have an abundance of people in your life that do not benefit you in any way, yet you'll still keep in contact with them for no particular reason. In recent years, I've noticed myself pulling away from people like this because, to be quite honest, why surround yourself with people who do not have a genuine interest in you, or that do not have a positive impact on your life? I forget who it was that said this, but "I would rather have four quarters than a hundred pennies" - wouldn't you? I've found that applying this logical thought to my own life has incredibly increased my level of happiness. The people that I do surround myself with are people that I genuinely enjoy the company of. They are people that I can have real conversations with, be myself with, and laugh and cry with. Ever since really living this way when it comes to people, I've found myself with a deep need to further 'cleanse' my life and declutter the space around me. There's nothing worse than coming home to a messy room - it immediately affects your mood; if you've had a bad day, it will make it worse, and if you've had a great day it can quickly go downhill. 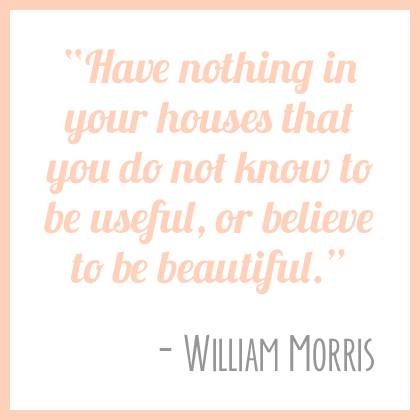 So, this is where I am; in the midst of decluttering the space around me. I am calling this process 'The Purge', and everything has to go. If you haven't worn it in the last 3 months or in the last appropriate season - it has to go. Try it on: if it doesn't make you look like the super-model version of yourself - it has to go. If it's damaged beyond repair, it's time to lay it to rest in peace. So far, on my journey of purging, I've only conquered my closet, my dresser, and my shoe & coat closet. I know there is a whole world of tchotchkes out there in my living room and kitchen just waiting to get the boot. 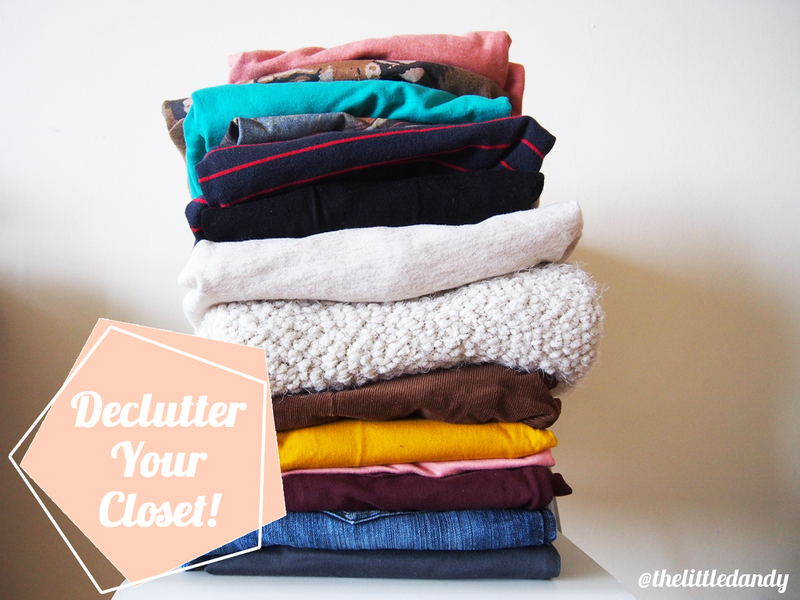 In the meantime, looking into a spacious and uncluttered clothing situation is like a breath of clean fresh air. The pieces I've decided to keep I'll actually wear and get use out of. I think a closet purge is a healthy ritual to do at LEAST once a year. I'm planning on doing another one once the summer season roles around because I'm bound to have fallen out of love of some old summer trends. Hope some of you found this post helpful, or at least interesting. Enjoy the rest of your weeks and stay warm! 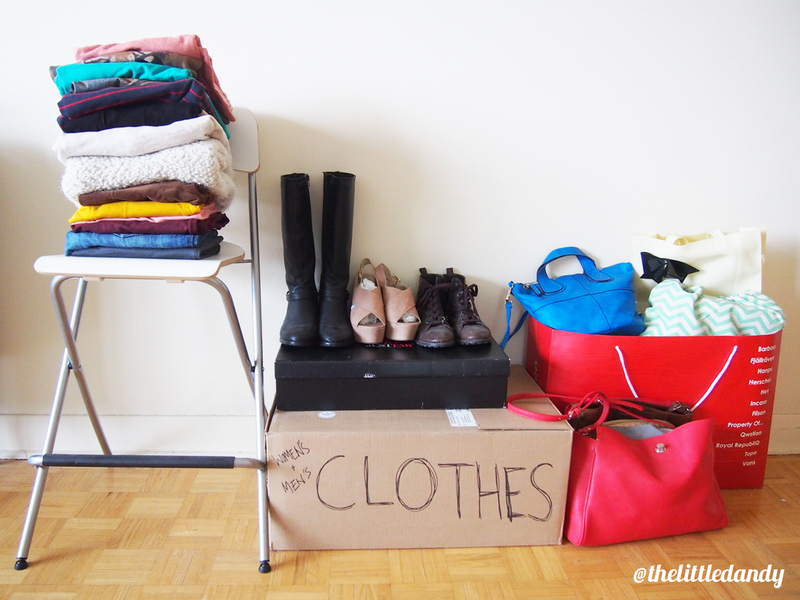 I'm in the midst of purging the closets as well. I tackle a few sections per week. So far I've done sweaters, workout clothes, coats, and dresses. I have NINE BAGS of clothing to give away. And the closets are somehow still full... I may or may not have a problem.